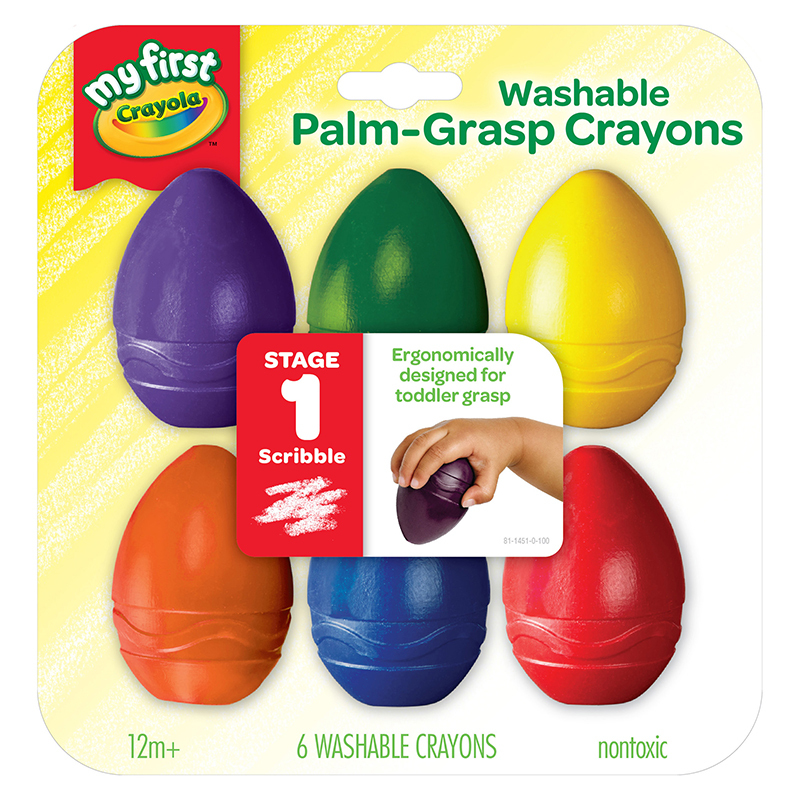 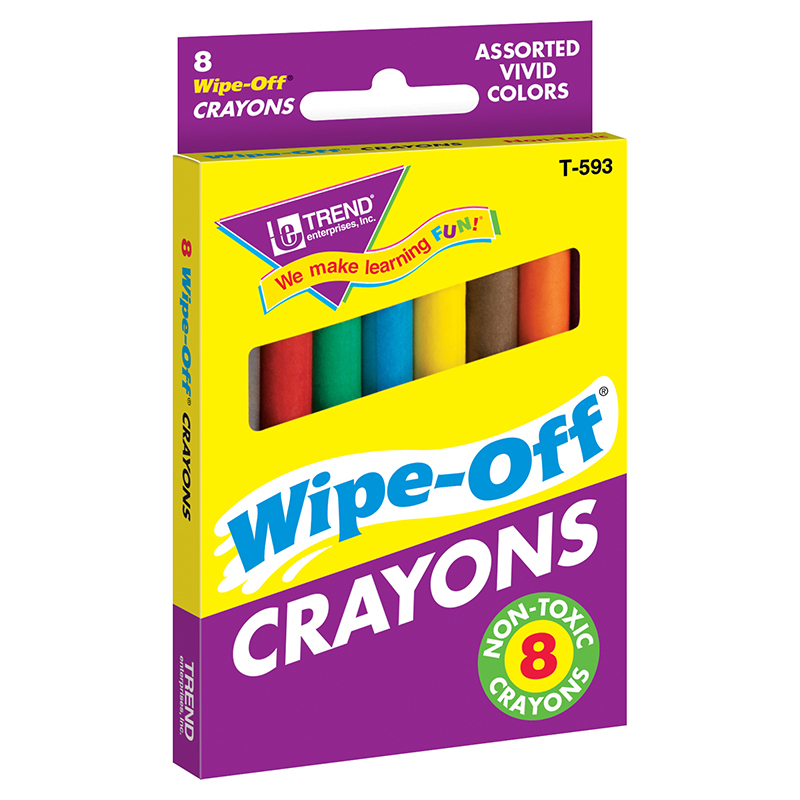 The right crayons for easy wipe-off, no smudges, and smooth strokes. 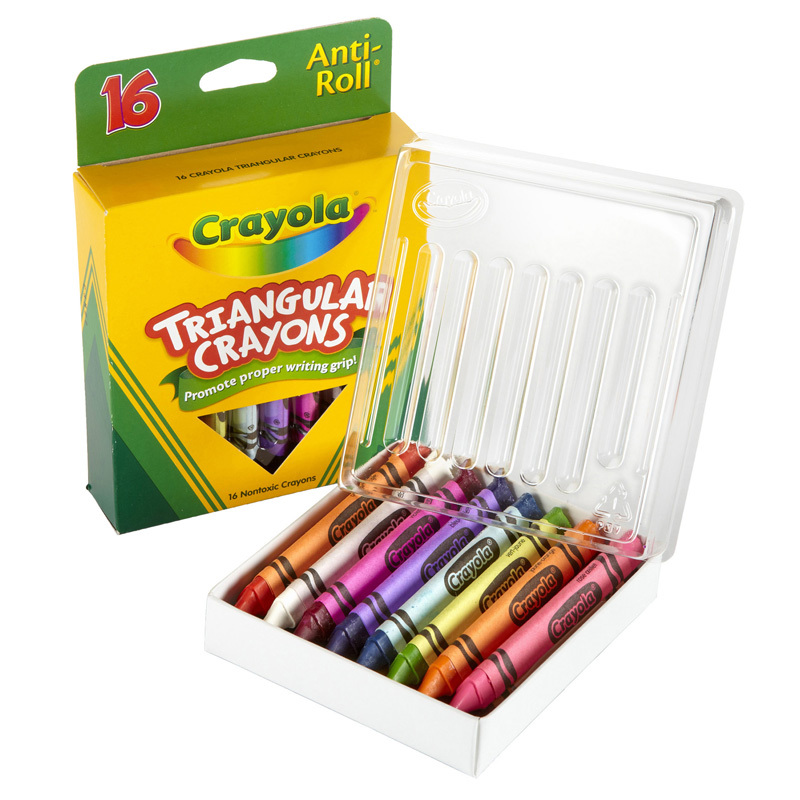 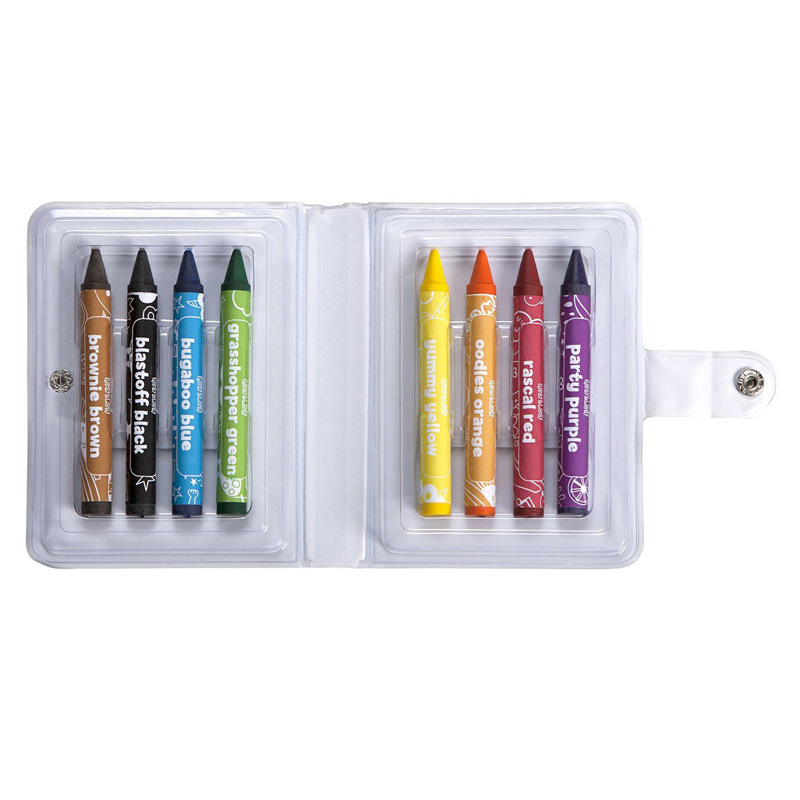 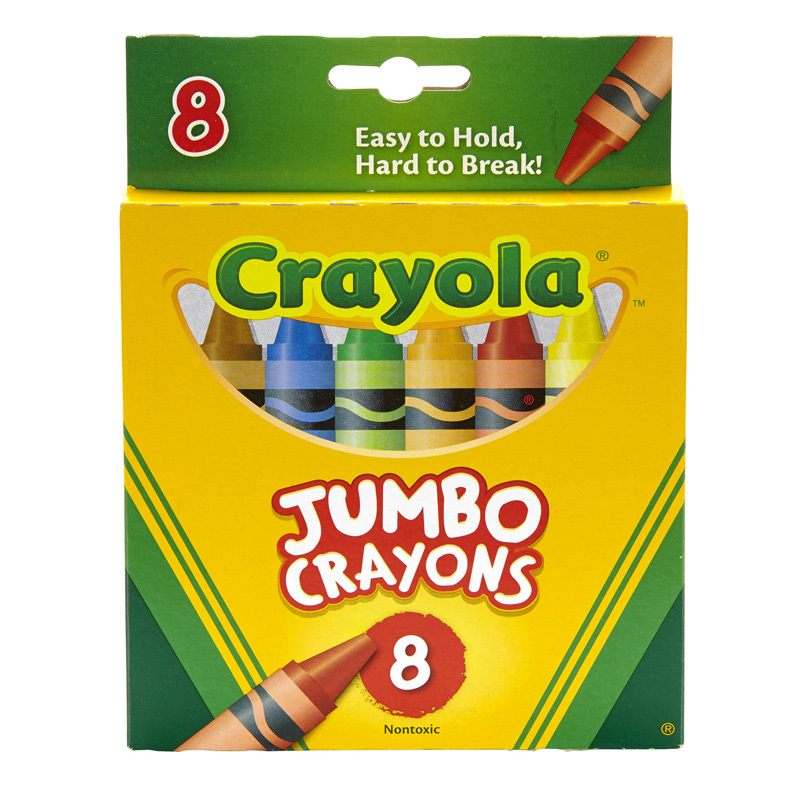 Eight, non-toxic crayons per box: green, red, blue, yellow, orange, purple, brown, and black. 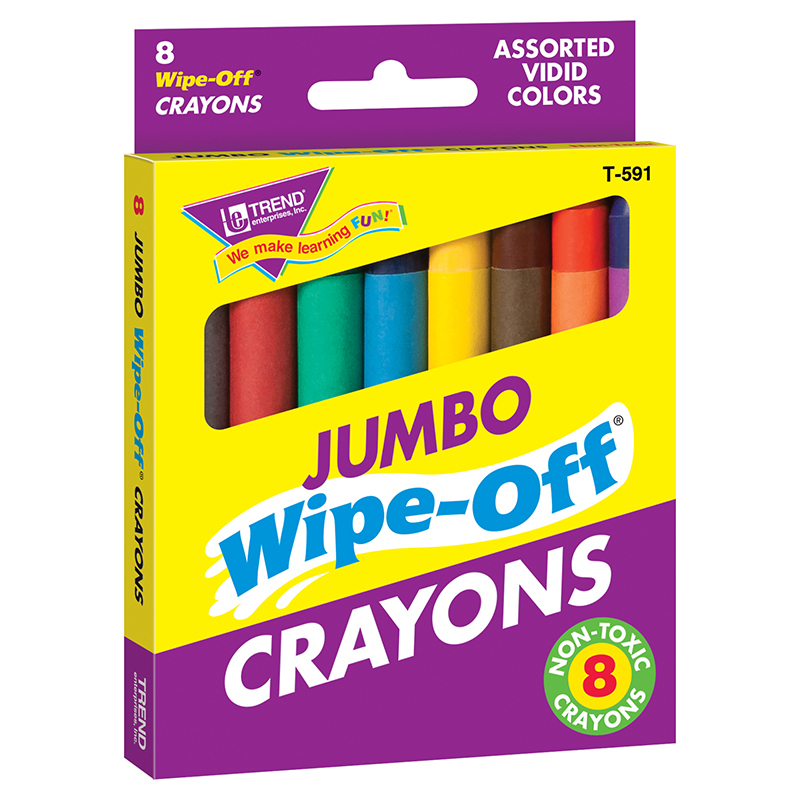 The Wipe-off Crayons Jumbo 8/pk can be found in our Crayons product category within the Arts & Crafts.